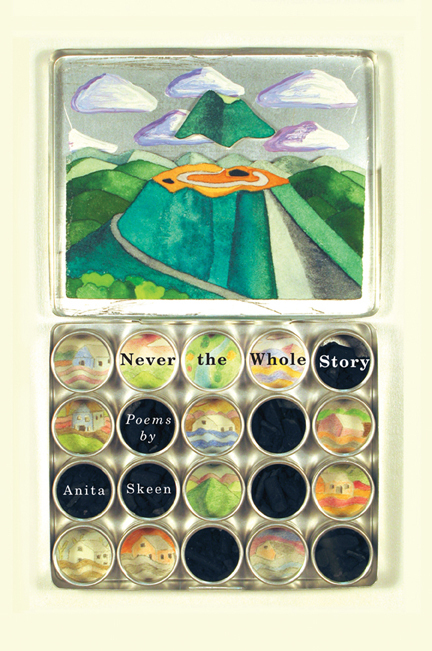 Epiphanic and rich with striking imagery, Anita Skeen’s new collection of poetry documents the fragmentary nature of life and celebrates the desire to make a meaningful narrative from momentary experience. In Never the Whole Story, the past is never past, and the present comes filled with the miracle of small gestures—singular moments that have the power to transport the mind from one geographic place to the next, one emotional world to another. Memory is incomplete, events unfold from multiple perspectives, and secrets unspool from the ordinary. Following in the tradition of James Wright, Maxine Kumin, Mary Oliver, Jane Kenyon, Robert Hass, and other writers whose work is grounded in the detail of ordinary life, Never the Whole Story will be a welcome addition to the libraries of those who turn to literature to find deeper connections between their own lives and the natural world.